Preheat the oven to 425°. In a small saucepan, melt the butter. Remove from the heat, whisk in the saffron and let stand for 5 minutes. Season the poussins all over and inside the cavities with salt and pepper, then tie the legs together with kitchen string. Transfer to 2 large rimmed baking sheets and brush with some of the saffron butter. In a large bowl, toss the apples and shallots with the olive oil and season generously with salt and pepper. Scatter the apples and shallots around the poussins on the baking sheets. Roast for about 1 hour, basting occasionally with the saffron butter, until the juices from the cavities of the poussins run clear and the apples and shallots are tender; rotate the baking sheets halfway through roasting. 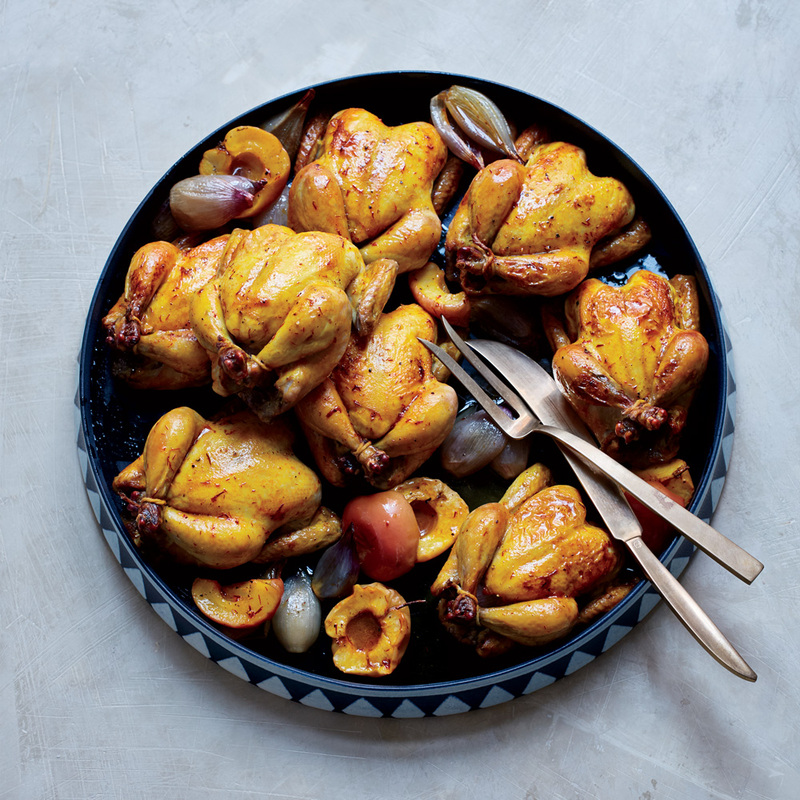 Transfer the poussins, apples and shallots to plates or a platter and serve.